Looks like a Russian Wolga in an atypical colour. Most were black. Perfect processing chosen for this very cool old car. Nice work! Oh how perfect. This is straight out of an old photo album!!! 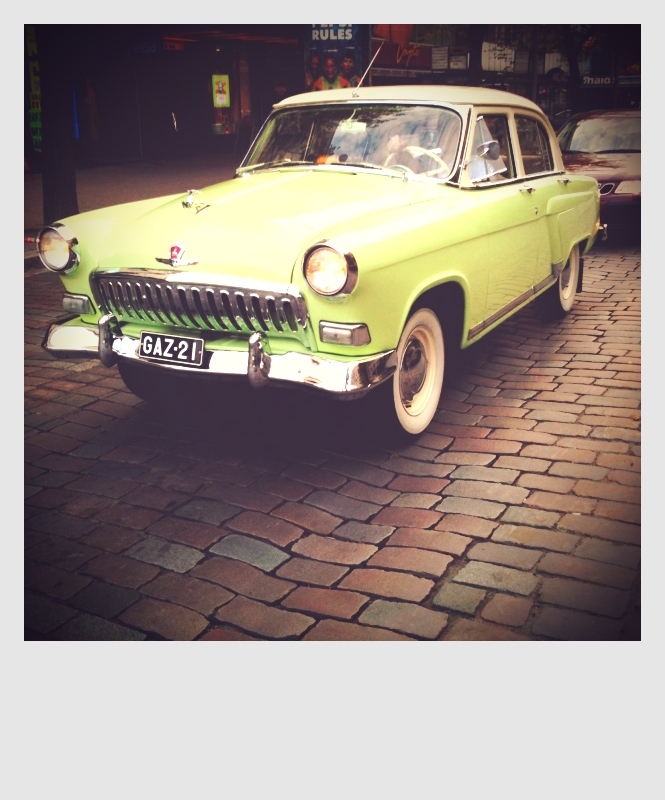 That faux Polaroid treatment is perfect for the old car. Cool old car, and it totally suits the treatment. The pattern of the cobblestones gives it something of a swoopy look. Proudly hosted by Sargasso Networks. Current Server Time: 04/22/2019 04:04:41 PM EDT.